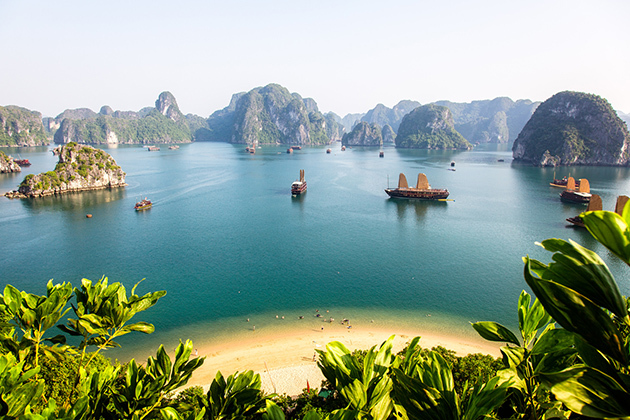 Experience the most remarkable vacation with our 22-day inspirational Indochina trip. Escape to a land of cultural diversity, captivating landscapes, and unique architecture dating back to thousands of years ago. 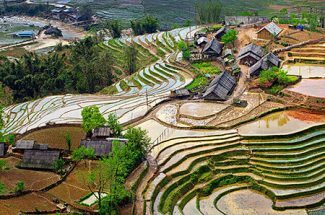 From the time-worn temples of Angkor Wat, the majestic world heritage city of Luang Prabang to the poetic town of Hoi An, each destination has its own kind of charm and is sure to leave a heart-stirring impression on any people that come to visit. 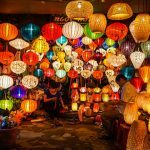 Highlights: Vientiane, Siem Reap, Phnom Penh, Mekong, Saigon, Hoi An, Hue, Hanoi, Halong. 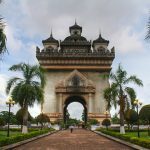 Upon arrival in Vientiane, the quiet capital city of Laos, you will notice the remnants of the country’s French Colonial past such as French mansions exuding their old charm behind noodle stalls that emanate aromas of fresh garlic and ginger. The scent of freshly baked baguettes spreads from the many cafes and bakeries in the center of the town. You can catch a glimpse of ancient Buddhist temples scattered through the winding street and the skyline enhanced by the impressive architecture of the Patuxai Victory Monument. This impressive 20th-century arch bears much resemblance to the Arc de Triomphe in Paris, but it was decorated with images of Hindu gods. 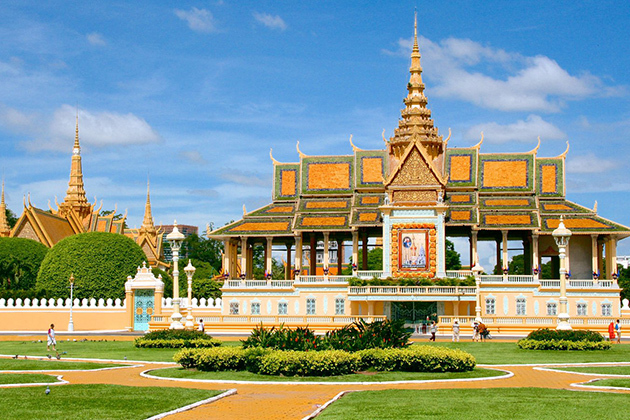 The elegant charm of Vientiane reveals itself as you stroll through the park and watch the palm trees rustle in the breeze, or appreciate the four ponds in the courtyard that represent a lotus flower. As the sun shines over the city of Vientiane and the morning coffee shops start to open, the streets look more like a lovely walkway in Paris than the capital city of a Southeast Asian nation. Then we visit Wat Sisaket, Wat Prakeo and That Luang. 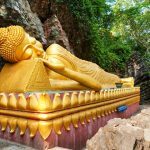 Outside of the city is the Buddha Park (also known as Xieng Khuang) that displays over 200 intricately sculpted religious statues. 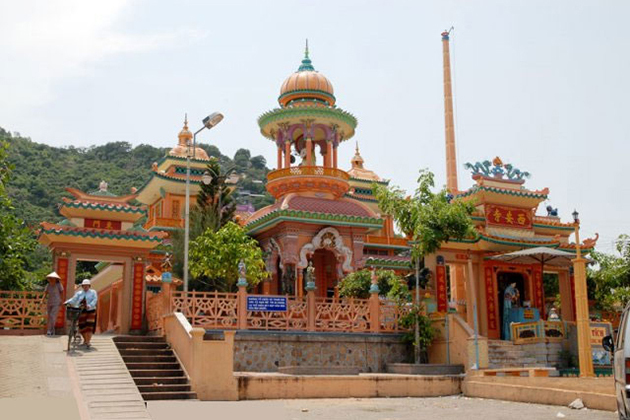 The park was open in the 1950s by a monk who studied both Hindu and Buddhist principles. The artists have specific interpretations of both gods and demons that show deeper than just the artists’ abilities. There’s also a reclining Buddha image that stretches over 120 feet long, so ready to feel tiny here. The sculptures in the park are fascinating not only for their incredible size but also for their intriguing and thoughtful details. After breakfast, you will travel north to the ancient capital of Luang Prabang. 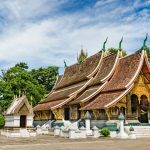 The city used to be the royal capital of the Lan Xang Kingdom in the 16th century, and it’s still the heart of Laotian culture. We arrive in the late afternoon, transfer to checkin. The early morning welcome you with a brush of slight, cool mist. You hear a small bell chime, and watch as local people line up on the sidewalk; some kneel while others stand. A long line of monks draped in a burnt sienna robe come in with voices add a calming hum to the city. Locals offer alms to the procession in the form of rice and cookies or evening money. 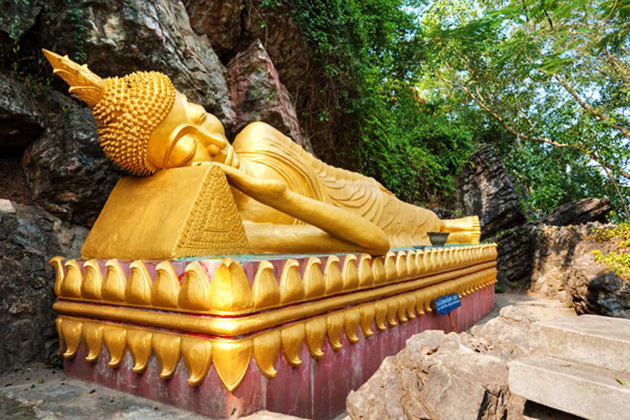 After breakfast, you will visit Wat Xieng Thong Temple, the best-known monastery in Luang Prabang. The original temple was constructed in the 16th century and refurbished in the 1960s. 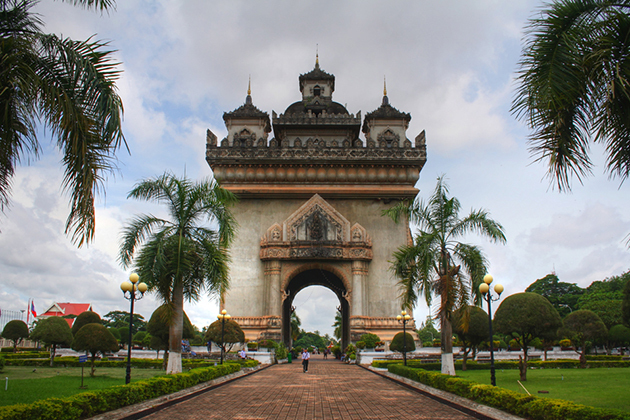 The architecture is classic Laotian design with the pointed roof quickly sweeps low to the ground. There is a ‘Tree of Life’ mosaic carved into the western exterior walls with incredible detail. 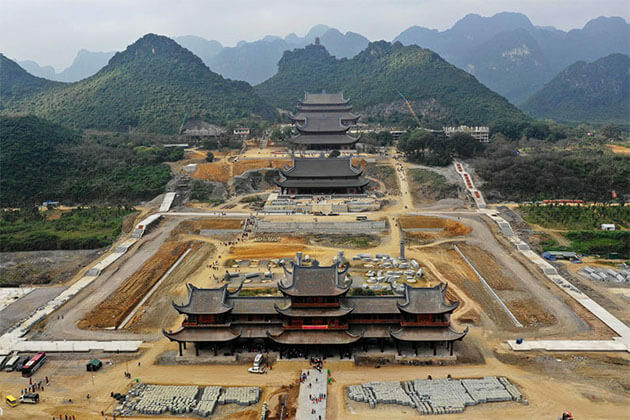 Meandering through the complex, you can also find the drum tower and the Tripitaka Library. 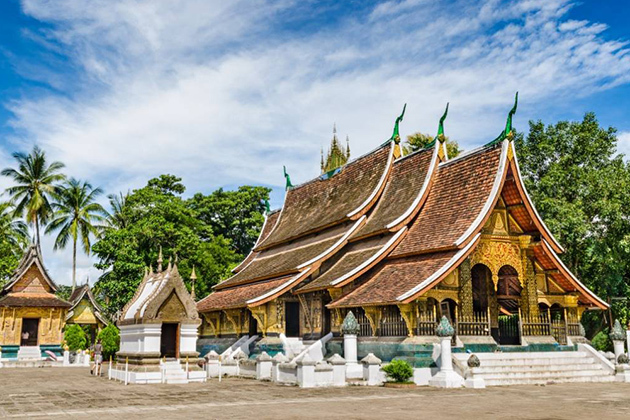 Then we visit the Royal Palace Museum, which hosts a range of interesting artifacts from the Royal period in Luang Prabang, the impressive stupa of Wat Visoun and the shrine of Wat Aham. Afternoon, a trip to Arts and Ethnology Centre will help you learn about Laos’s many ethnic cultures.Also, Mount Phousi is a must-visit. The hill stands over 450 feet tall in the center of the city and offers a stunning view of the surrounding landscape. The staircase to the summit consists of 355 steps, but it’s totally worth it once you look over the cityscape as the sun sets over the distant mountains. After breakfast, we will be free until your driver arrives to take you to the airport for your flight to Siemreap. 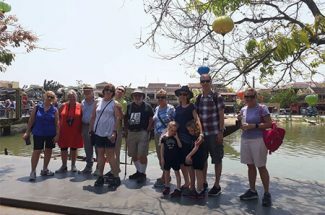 Upon your arrival at Siem Reap International Airport, welcome by our local guide and driver who will transfer you to your selected hotel for check-in. Today you are invited to enjoy a drive to the rural outskirt 35km from the town and visit Banteay Srei, the birthplace of Khmer classical style architecture. Next Stop we visit Banteay Samre Temple. On the way back, you will visit AKIRA LANDMINE MUSEUM was established in 1997 by a former child soldier whose parents were killed by the Khmer Rouge and is staffed by victims and orphans of mines. Although sobering, the Land Mine Museum is a real piece of Cambodia away from the tourism glam. Then continue to discover a visit Production of Sugar Palm who made by craftsmen (in dry season only). Sunset at Phnom Bakheng or Pre Rup covers the temple in an orange hue. After breakfast, start to explore the temples of Ta Prohm. Enter this last capital of the Khmer empire through the Southern Gate where giant carvings of gods and demons flank each side of the entrance. Get a closer look into the ruins of Royal Enclosure, Phimeanakas, Elephant Terrace and Terrace of Leper King. 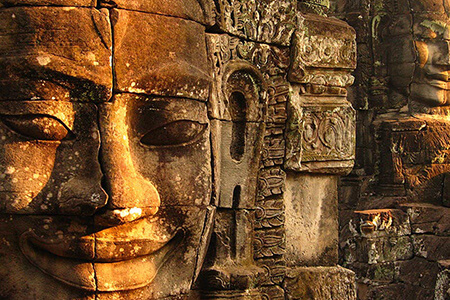 Feel the serenity exuding from the stone face carvings of the Bayon. Lunch is Khmer style in a local restaurant on own account. Afternoon regains your energy enjoying a sumptuous Khmer feast near Sras Srang, the Royal Pool of Ablutions, originally reserved for the King and his consorts. Enjoy a spread of great local food followed by a nap lazing in a hammock, or explore the daily lifestyle and say hello to the locals there. 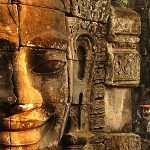 In the afternoon you will enjoy with the exploration to Angkor Wat, an architectural and artistic masterpiece of the mighty Khmer Empire. 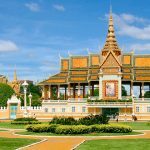 The city of Phnom Penh sits on the banks of the Mekong River and contains remnants of the country’s contemporary and ancient history. 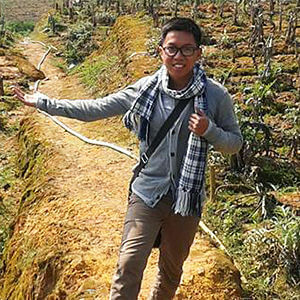 Take a break after your flight from Siem Reap, we will start full day city tour afterward. 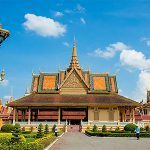 First, we head to the Royal Palace, which was constructed in the 19th century and continues to serve as an example of Khmer-style architecture. Then soak up the most sacred temple in the country, Silver Pagoda. In the afternoon, visit the notorious Tuol Sleng Museum which showcases the dark chapter of Cambodian history. This former school once was the largest center for detention and torture during the rule of Khmer Rouge. Spend some time to wander around the Russian Market before returning home to relax. 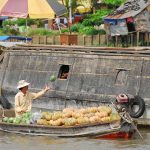 The life along Mekong River is very vibrant with skillful fishermen sailing near the riverbanks and children going to school on skiffs. 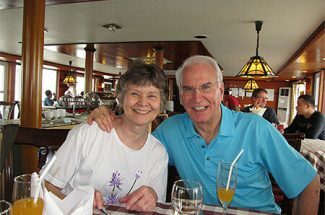 After having breakfast, you board the comfortable ferryboat that will take you along the water to Vietnam border, and down to the town of Chau Doc. The sporadic high rises of Phnom Penh gradually pass behind lush trees, and the Vietnamese countryside emerges, extending from the riverbanks to the horizon on either side of the river. 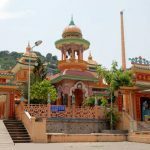 In the early afternoon, you arrive at Chau Doc, a town filled with religious diversity and bustling local markets that open every day. You can feel the warm hospitality of locals as they wave and smile at you from both sides of the river. 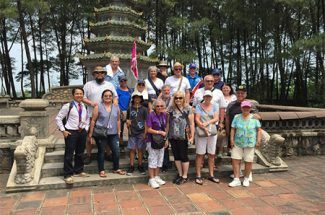 Just north of town, you will find Tay An Pagoda at the base of Sam Mountain with the typical design of Vietnamese pagodas. There are two elephants guarding the sanctuary in the lingering scent of sandalwood. The mountain’s summit reaches over 690 feet tall and looks out over an ocean of paddy fields glowing beneath the blue morning sky. You can find statues of rhinoceros and elephants near the summit. As a new day begins, you can hear the bustling sound of the morning markets. 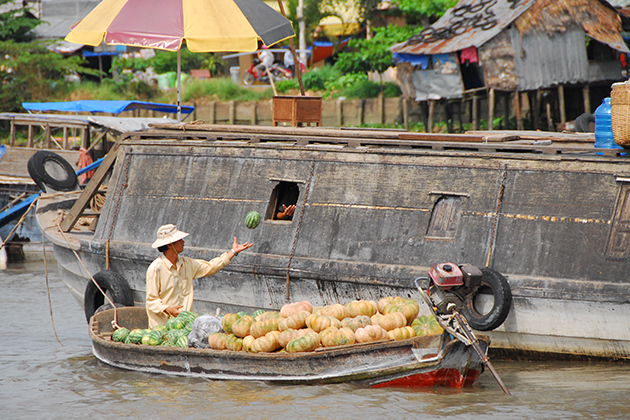 There are endless of boats floating by the river, and each contains a variety of juicy tropical fruits. Some boats are even weighed down by the huge amount of vivacious produce that fills their hull. Women wear signature conical hats called “non” to protect them from the sun as they steer along the rushing water. Everyone is loud and eager to sell their goods. The scent of ginger and mint is intoxicating. Some people even have woks in her boat so that they can fry fresh fish and passes them to the other vendors. After the morning rush you continue your journey northbound to Ho Chi Minh City, also known as Saigon, and arrive in the early evening. 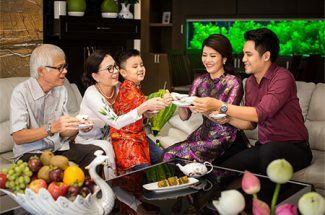 Ho Chi Minh City is also known as the commercial capital of Vietnam, so it comes as no surprise that the people here are exceptionally energetic. The city is a mixture of different charms that blend into one. The towering skyscrapers act as a reminder of its place as the most buzzing city in Vietnam. Saigon River, on the other hand, reminds people of the quiet traditions that continue to radiate beneath the whirlwind of movement. 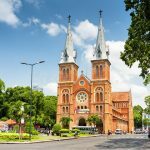 The French colonial architecture is a fixture of the city center with Notre Dame Cathedral sits on a quiet corner in downtown Saigon. The materials were shipped from Europe and add a lustrous red to the city’s skyline. With its unique architecture and beauty, the cathedral seems almost otherworldly. You can sit inside the church in awe of the architecture and the energetic beauty of the city. 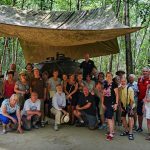 Today, you will be escorted to the countryside to visit the remarkable subterranean labyrinth of Cu Chi Tunnels. The network was constructed in the 1940s and encompasses over 124 miles of passageways. You can picture the exceptional extent of the entire network just by looking at the maps hung at the entrance. Entrances are hard to find as they either blend into the rocks or are covered with a trap door. As you enter the tunnels, the walls are narrow and cold. Enjoy the overwhelming sense of it as you go deeper into the network and finally reach an exit. 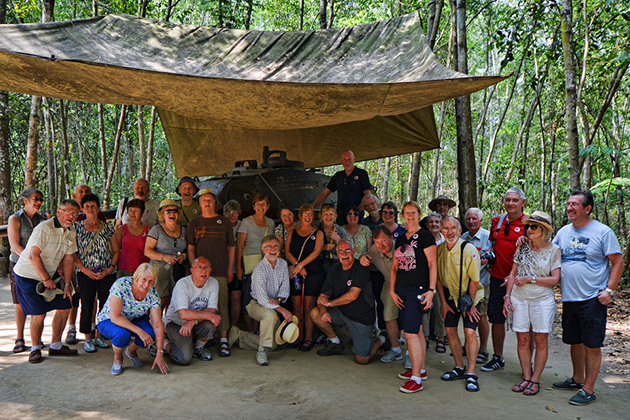 There is also an M-41 tank situated beneath the canopy of a eucalyptus grove which shows the tremendous efforts of people in preserving the entire tunnel system. 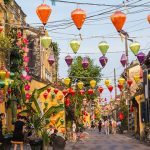 Hoi An is the highlight of Danang City, the most worth-living city in Vietnam. It used to be a merchant town dating back to the 15th century, which explains its striking architecture feats. Chinese lanterns are strung across the narrow streets. The Thu Bon River flows quietly on the outskirts of town. You can also notice the combination of Chinese and Japanese architectural influence when visiting the Tan Ky house. 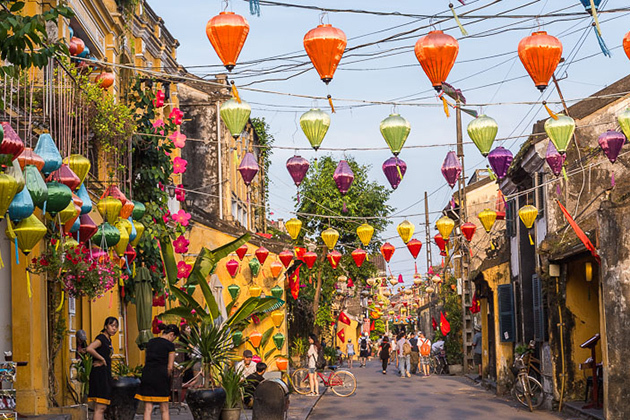 The streets of Hoi An also offer a variety of traditional dishes that are typical of Vietnamese taste and make you want to come back for more. My Son is a remarkable temple complex that dates back to the Champa Empire, that’s why its architecture somewhat reminds you of the temples in Cambodia. The whole complex has a time-worn feel to it that will inflict a sense of legend upon visitors. Each temple is decorated with intricate statues of gods and animals, which adds certain artistry to the complex. On the way to Hue, you can catch a glimpse of the Marble Mountains watching over the city of Danang and the East Sea glistening in the sun. Continue along the Hai Van Pass to Hue, you can also see the endless stretch of emerald hills roll into the distance. 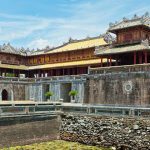 Hue is a poetic city that houses the impressive remnants of an imperial capital. 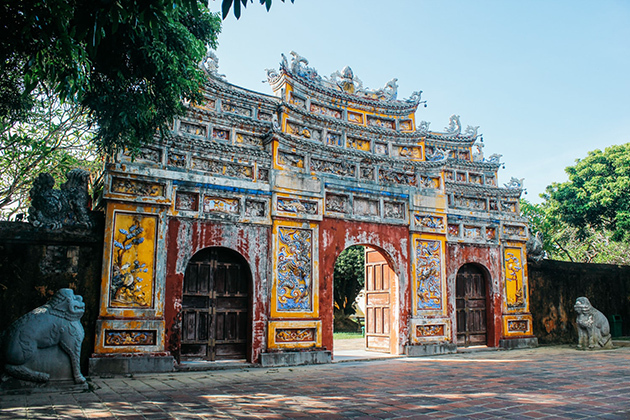 The garden house is one of Hue’s unique architecture features. The garden houses are set in manicured private gardens with the aim to connect its inhabitants to the scenery and bring a balance between human and nature. 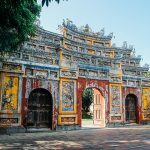 The Lac Tinh house is a must-visit location in Hue. Blooming flowers are arranged in symmetrical rows. You can sip tea and indulge in the delicate flavors of the city under a green canopy. 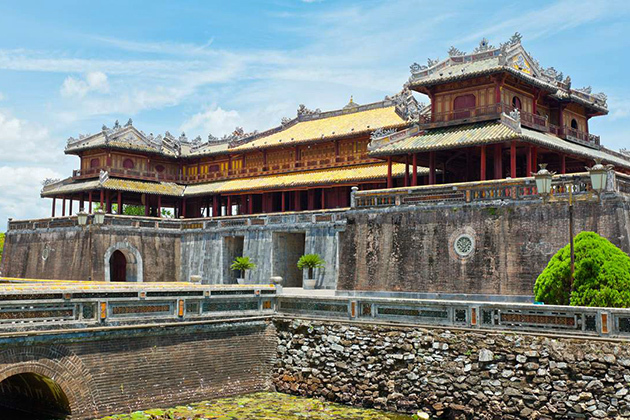 Hue was once the capital of the Nguyen Dynasty in the 19th century and still manages to keep its regal atmosphere. The ancient city is home to majestic buildings of a time far past and unforgettable tombs of legendary emperors. Enjoy the charming and poetic beauty of the Imperial Citadel when visiting To Mieu Temple Complex (located in the southwest corner of the Imperial Citadel). Hien Lam Pavilion is the tallest building in the citadel. Slithering dragons divide its stairway into thirds, and the Nine Dynastic Urns stand between the two temples. The entire design and architecture bring an opulent ambiance throughout the citadel. 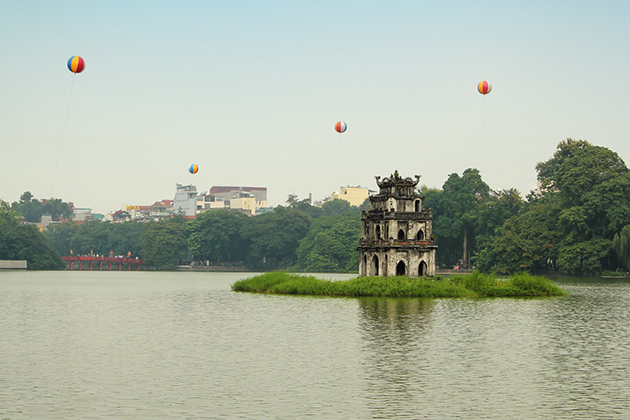 Say goodbye to the imperial city of Hue, today you will fly to Hanoi, the modern capital city of Vietnam. The city is buzzing with activity, but you can still notice an antique side of when coming to the Old Quarter and walking around small old streets lining with tube houses that date back hundreds of years ago. The streets are named after the goods that they specially provided back in the day, from medicine to silk. The architecture in the city is a perfect blend of different styles from different stages of its historical past. The tree-lined boulevards offer a reminder of the French Colonial days. The Opera House, which was built in the early 1900s, maintains its neoclassical artistry. Your guide will walk you through the uncovered history and charm of the city. 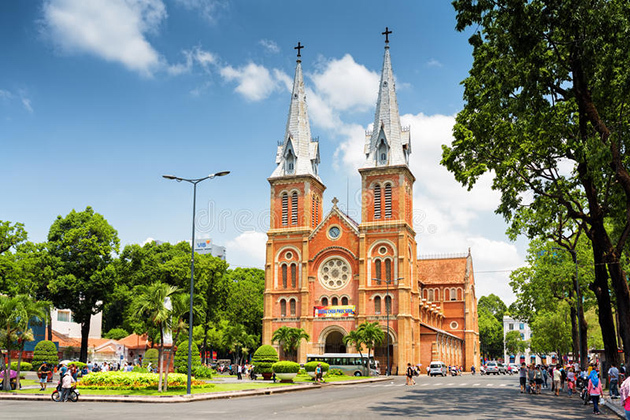 The capital city houses a variety of famous attractions like the Temple of Literature, One-Pillar Pagoda, Ba Dinh Square, and the Ho Chi Minh Mausoleum. Then, make a visit to the Museum of Ethnology which has an extensive display dedicated to Vietnam’s 54 ethnic minority people. End up your city tour by a visit to the Long Bien Bridge. More than 100 years of history, the Long Bien Bridge has an ancient appearance, is the ideal place for photography lovers. 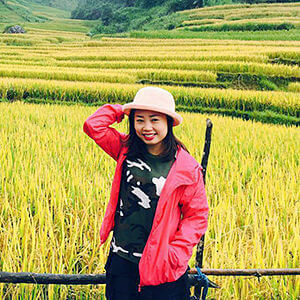 Standing on the bridge, you can enjoy the beauty of the big corn and banana fields, some floating houses and the still waters of the Red River. After that, back to the hotel for relaxing. 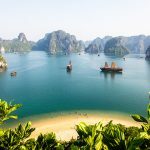 You will leave Hanoi behind in the calm city morning and come to the calling of Ha Long Bay. When you reach the bay you will step onto a traditional Chinese junk to enjoy an overnight cruise around the fantastic scenery. Over 1,600 limestone islands can be found in the bay with their grandeur reflected in the water’s surface. As the evening comes, you can look out into the sky and find the eternal glitter of stars blanketing the night. After breakfast, you will board a sampan to visit Vung Vieng fishing village. The locals are very welcoming and friendly. You can watch as they continue on with their daily life. Fishermen steer through the water in wide and shallow boats. Houses are buoyed together and drift with the tide. It seems like karsts and emerald water are in the village’s backyard. You make your way back to the boat and eventually return to Hanoi with the view from the fishing village fresh in your mind. For the entire day, you can appreciate as much or as little of the city’s bustling neighborhoods as you prefer. 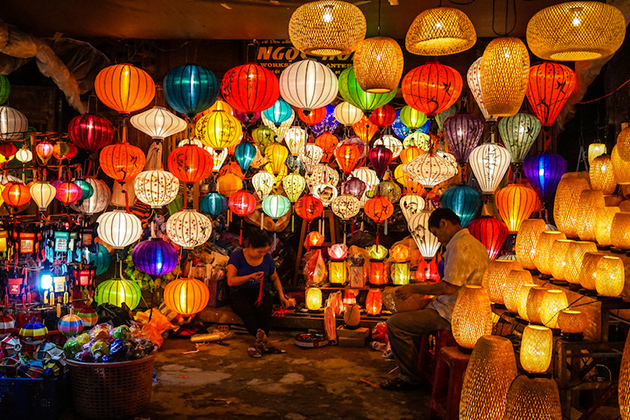 Hanoi has a lot of hidden charm, and you can spend the day exploring or simply relaxing. 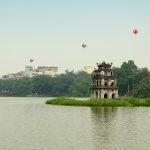 Old Quarter is full of life in the morning, but you can stroll around Hoan Kiem Lake for a relaxing exploration of the city as its calm water and dangling branches inflict a peaceful atmosphere upon you. At the other side of the bright red wooden The Huc Bridge is Jade Island. 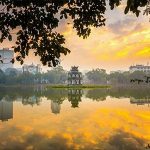 The day slows down so you can enjoy the lasting hours of Hanoi. The streets of Hanoi are calm this morning. On the edges of the West Lake groups of women begin to practice Tai Chi. A procession of cyclists meanders through the streets. They each carry baskets filled with cheerful flowers ready for market. After breakfast, your private transfer meets you at your hotel and escorts you to the airport. You board the plane filled with mixed emotions. You’re ready to journey home but you know that you will miss Vietnam. Luckily the memories will last a lifetime.